Kerastase Densifique ampoules activating hair growth – 30 vials, 6 ml each. The product comes in small bottles with an applicator that eases the application. Kerastase ampoules are packed in a nice, solid, cardboard box. Small elegant jars decorated with a black and gold label look great as well as professional: you feel the ampoule is supposed to fulfil a special task. 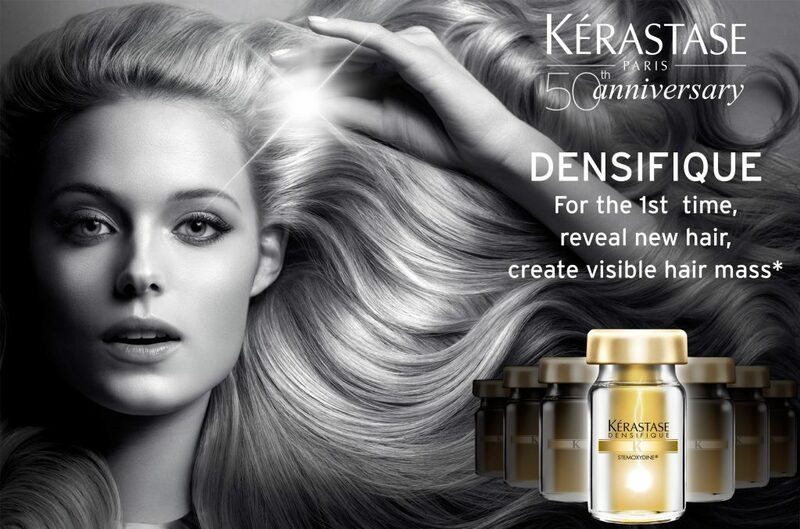 Kerastase Densifique vials conceal ingredients that are supposed to boost volume and rapid hair growth. What is more, the ampoules are supposed to reinforce hair structure and improve its condition. Thanks to the choice of proper ingredients, they stimulate every hair bulb, delivering necessary nutrients and vitamins. Kerastase Densifique ampoules contain a special Stemoxydine complex devised in the company’s laboratories. 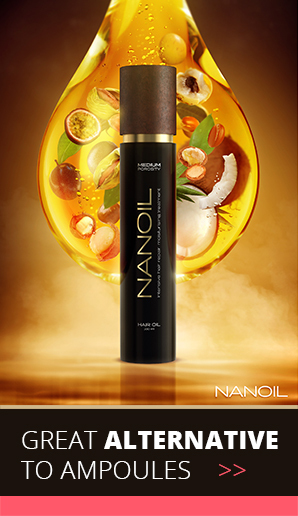 The substance penetrates your hair, reaches stem cells, stimulates and activates them. It also delivers valuable components that make your hair healthy and shiny. Biomimetic molecules stimulate hair growth at the source – hair bulbs. The ampoules activate even the bulbs that have not been working so far. The producer promises that Kerastase treatment will present you with 1700 new hair after only 3 months. Polymers and group B vitamins boost hair growth and enhance its repair. Polymers are responsible for the looks of your hairdo and elasticity; they deliver vitality and shine, condition your hair so it is beautiful, non-frizzy and velvety smooth. Vitamin B ensures healthy hair structure and growth mainly due to the cellular division and the cumulation of sulphur particles in the matrix (enhancing hair growth). Vitamin B deficit leads to thinning and premature greying. The task of Kerastase Densifique Treatment is fighting the problem of fine, thinning and weakened hair, and increasing growth by stimulating even inactive hair bulbs. Depending on the condition of your hair, it is recommended to apply the product every day, from 10 to 90 days. One packaging lasts 30-day treatment that promotes so-called baby hair. The application is trouble-free. Spread Kerastase Densifique ampoule on your scalp using the attached applicator. The best way is dividing strands into sections and applying the substance along the sections, doing a gentle massage. You do not need to rinse it out. You need a longer treatment to enjoy the maximum hair growth. 3 months is the optimal time to notice growth and volume boost. The effects are long-lasting. Hair no longer falls out. New strands gradually grow, adding body and thickness. Kerastase Densifique activating hair growth program is excellent. It fulfils its task. The treatment will repair your hair, boosting volume and stimulating hair bulbs within 3 months. 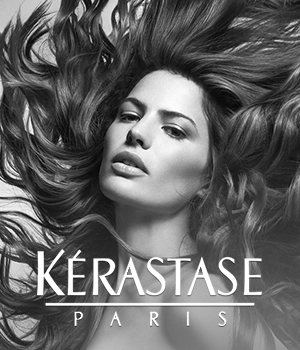 Kerastase ampoules prevent thinning and bring vitality. Sadly, the treatment has some downsides: it is long and pricy. One packaging is expensive and you must use 3 boxes to enjoy spectacular effects.